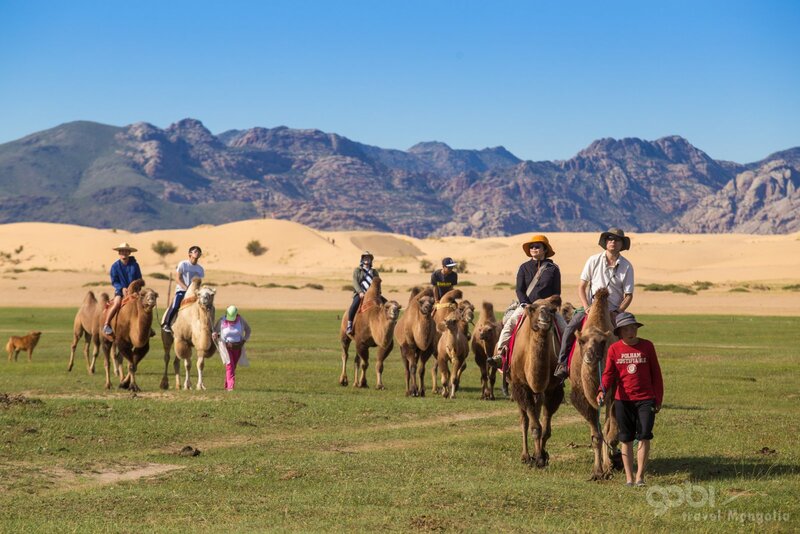 This tour allows you to experience Nomadic way of life and cultural heritage as well as central Mongolian beautiful landscape scenery through Orkhon valley. Orkhan valley was inscribed by UNESCO in the World Heritage List as representing evolution of nomadic pastoral traditions spanning more than two millennia. This tour one of the highlights is Tuvkhun monastery where we ride to. This monastery is known as Zanabazar's retreat and worship place. During Zanabazras lifetime retreat was called Baysaglant Aglag Oron (Happy Secluded Place). After his death it became Tuvkhun Monastery, the name which it is known today. You will arrive in Ulaanbaatar, Mongolia where your guide welcomes you. We will transfer to our centrally located hotel for some rest. On the way to the hotel your guide introduce you a beautiful holy mountain which is considered that first protected area in the world. You will see it on your right hand while driving by bus window. After having a lunch at the hotel we will leisurely stroll into centre not for from our hotel. Our first stop will be Sukhbaatar square. This is quit centre of UB and is named the revolutionary hero of 1921, Damdin Sukhbaar who leaded Peoples revolution against 2 years Chinese dominant. Then will take to Zanabazar museum of fine art. 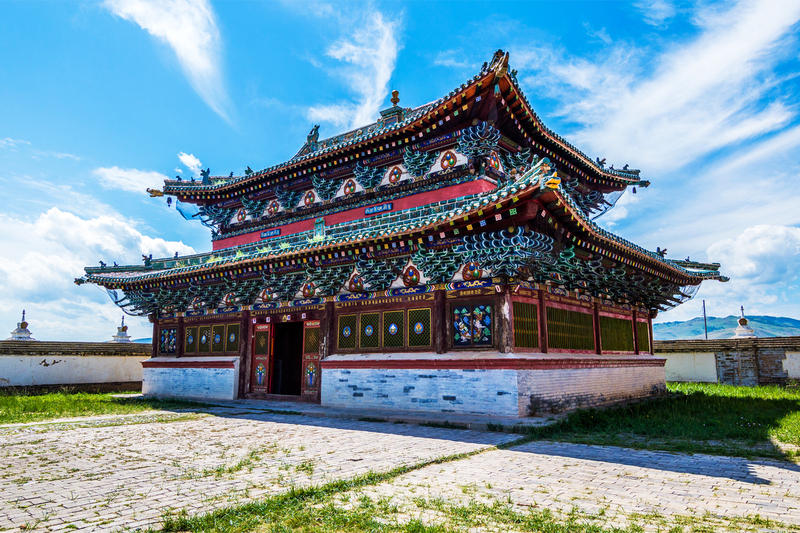 This museum shows Mongolian Art from the Paleolithic Age of early 20th century and creative works, Tanka and Graphic paintings, Appliqué hangings, Tsam ritual dance and Mongolian folk art and architecture. It is able to change your money not for from here. We will then return to the hotel for final check before tomorrow backcountry travel to the south. In the evening there will be welcome dinner at a local restaurant and a tour briefing. If you want it can take Zaisan hill memorial which is the highest point of UB. It is good view and panoramic point of evening UB. This morning we shall start our Tour. 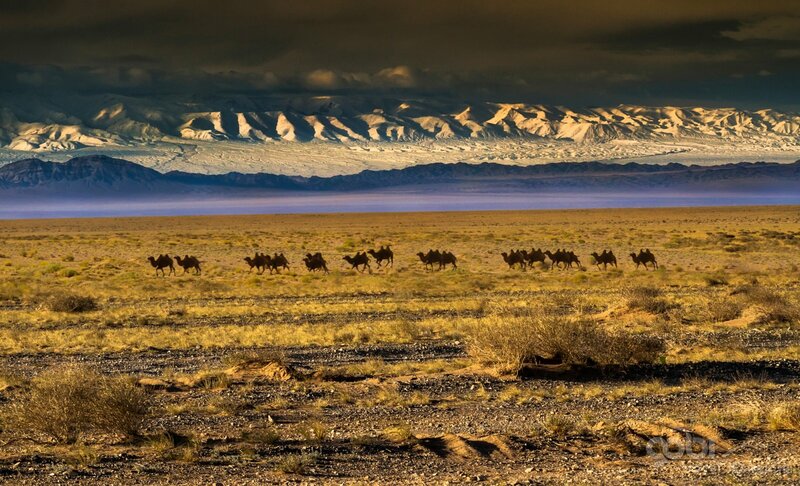 We will drive firstly to reach the Khustai National Park, which is famous for the wild Takhi horses, a species which have to be brought back from the brink of extinction. Wild horses, also named after the Russian explorer Przewalsky, had become extinct in 1970’s. They were recently re-introduced to their historic homeland from those survived in various European zoos. A brief but informative presentation on the wild horses and other wild life in the area will be given by a Park Ranger. We will then go further to hopefully catch a glimpse of the wild horses and the marmots, roe deer and other animals that roam here. You can stop for photos as often as you wish along the drive and we will stop often for refreshments. After lunch, we drive to the Khogno Khan Mountain, which is a perfect place for afternoon hiking. Here, we will have the opportunity to spend the late afternoon relaxing or exploring the area, which includes the Hidden Temple. There will be an opportunity to visit a famous fortune-teller at the temple who is able to prophesy the future for both domestic and foreign visitors. Tonight we will set up our 1st camp. App 390 km. 7 hours’ drive. Today we will reach to small town Kharakhorum. It is over 1 hour driving distance. First we visit to Erdene dzuu monastery, which was the first Buddhist monastery in Mongolia. Leaving only symbolic ruins now a day, the Karakorum city played strategic role in the past: cereals were grown to feed the army, and agricultural implements and weapons were cast in here. European missioners William de Rubruk and Marco Polo visited Karakorum in 13th century and described its glory. We will firstly visit this monastery museum, which houses the best of Buddhist architecture and religious art works. We will then continue the tour and see the symbolic ruins of Karakorum city, before start our horseback riding. While we having lunch at local cafeteria, our land horse guide will be prepared our horses and bring to us. Today our route is not far just 10km toward north of the town. Because of we will introduce our horses and if you want you can give a name for your ridding horse. During those days we will continue our horseback riding though the steppe mountain valley with supported by our vehicle. Mongolian horses may seem to you little bit hard galloping. But by talking with horse guide, you will discover Mongolians how to easy pass hundred kilometers on the horseback from the centuries. At 5th of our trip we will reach to Tsagaan sumiin hot spa. The water pules out of the ground at a remarkable 86 degrees C and contains hydrogen sulphyde. The springs have been managed to give a slightly less scorching temperature which makes a relaxing bathe in the wooden house. Here you can relax. Approximately 32km. Today, after an early breakfast we will head to Tuvkhun monastery though forest from backside of the Monastery. Tuvkhun monastery was the creation work temple by Undur Gegeen Zanabazar in 1654 dedicated to religious study and art works became the foundation of today’s Tuvkhun monastery. It is located on a rocky mountain hill surrounded by forests evelated in2300 meters above sea level. This monastery located in natural rocky landscape where there is a small cave named “Mothers abdomen” and other interestingly sites. Most beautiful place is the right cliffs of the Monastery, from here surrounding landscape looks very picturesque. After the visit to the Monastery we will have farewell lunch with horseman and horses. Than head to Orkhon waterfall. At dinner we will have traditional cook “Horkhog” which is mutton cooked slowly in a huge, metal urn with vegetables, water, and hot rocks from flaming fire. The meat becomes soft and fasty and water turns into a thick meaty broth. This is our turning point of the tour. After breakfast we will drive to the Karakhorum which was you knew that our horseback riding starting point by bumping road through basalts. After dinner at Kharakhorum, you can go to some shots on imperial monument which is good view of Orkhon Valley before the breakfast. 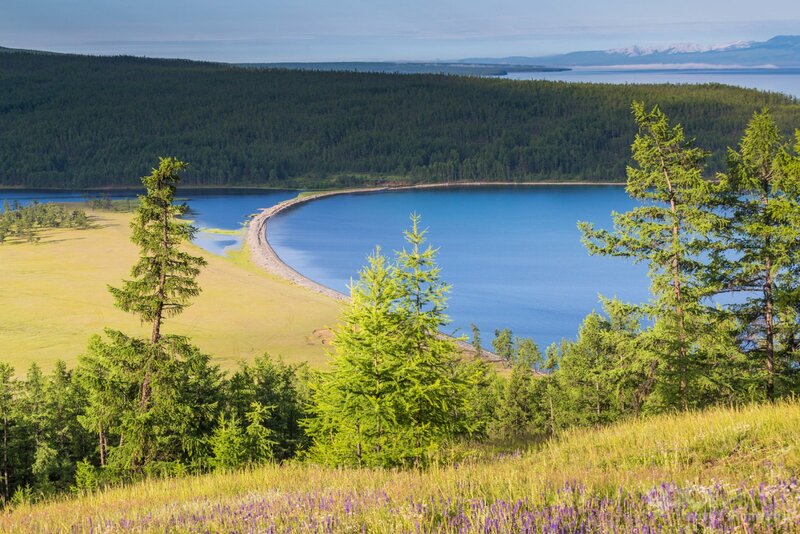 Registered as World Cultural Heritage by UNESCO in 2005, because of Orkhon river valley is known as the cradle of Mongolian nomadic pasture civilization and evidence of goes back from Stone Age to Mongolian ancient empires dominated Mongolian territory. Today is our last day of the travel. After an early breakfast we will drive to Ulaanbaatar by path road but it takes about 7 hours. An arrival you will take to your hotel for a rest. Before the goodbye feast or farewell dinner, there is time to make shopping and buy some famous cashmere brand. After breakfast you will be transferred to the airport for your international departure. Riding boots – A comfortable pair. Fanny pack for snacks, camera, money, glasses etc.